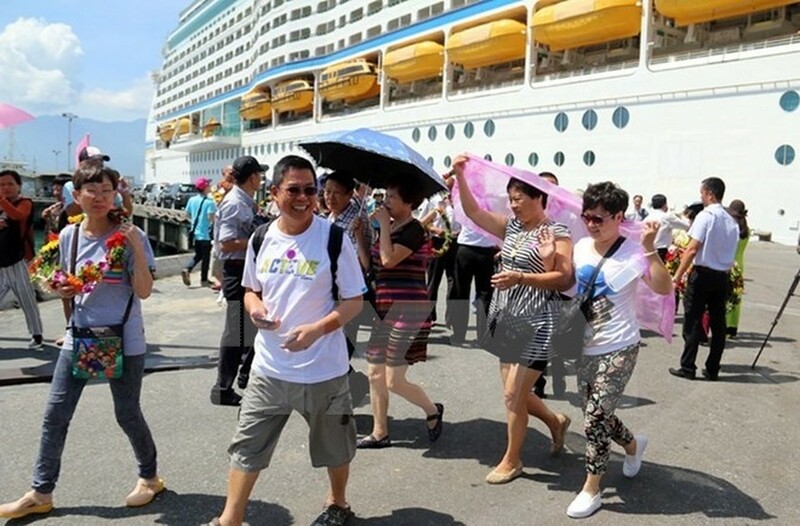 Luxury liner Ovation of the Seas, carrying nearly 4,100 tourists and 1,600 crewmembers, anchored in Chan May port, the central province of Thua Thien-Hue on November 25, beginning their tour of Hue, Hoi An and Da Nang. The Bahamas-flagged cruiser is the latest in Quantum class produced by Royal Caribbean. With 18 floors, the ship has a length of 348m and width of 41.5m and is equipped with the latest equipment and luxury services, assessed to outclass five-star resorts in the mainland. Since the beginning of 2016, Chan May port has served 66,000 visitors, and expects to welcomes more seven cruise liners this year, raising the total number of visitors to 74,000, said Director of the Chan May port company Huynh Van Toan. 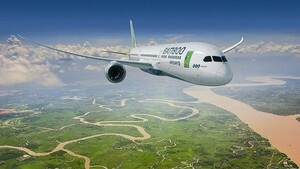 As one of the 46 seaports chosen by the Asia Cruise Association as a stop for cruisers in Southeast Asia, the port lies between the central cities of Thua Thien - Hue and Da Nang, and connects Vietnam with Singapore, the Philippines and Hong Kong (China). With the upgraded wharf of 420m in length and 12.5m in depth, the port is now able to accommodate vessels of 30,000 DWT and international cruisers carrying more than 3,000 passengers.